We often head down to Melbourne at this time of year to watch some matches. I DID mean to check the entry conditions - like whether I could take in my camera. 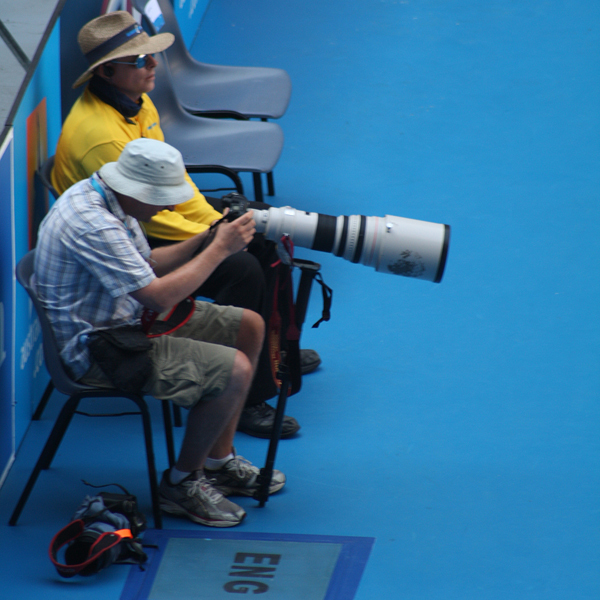 I NOW know that telephoto camera lenses with a focal length capacity greater than 200mm are not allowed. Luckily as my bag was inspected at the gate I had my Tamron 28-75 on the camera, yet later I saw dozens of other people with 300 zoom lenses on their cameras. My point and shoot has a 10x zoom anyhow - it is obviously very difficult to effectively police these things, but the very big lenses are definitely for the professionals! The best place for up-close photos in on the outside courts. 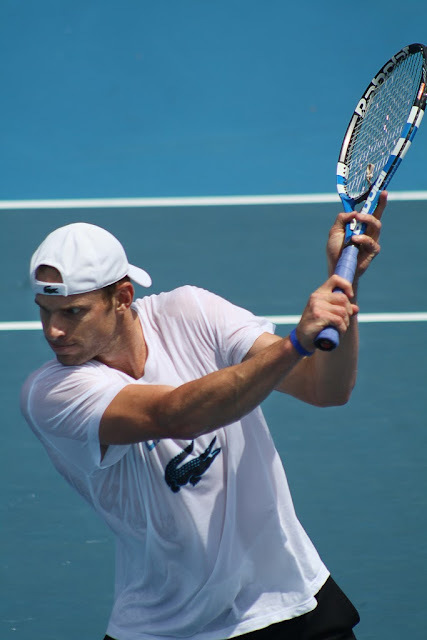 I got to watch Roddick practicing. I'm not sure if we're getting out of touch or whether it's just that are just more Eastern European players these days but I don't seem to know many of the players. We watched Anastasia Pavlyuchenkova of RUS vs Iveta Benesova (below) of CZE, a very impressive game and I enjoyed taking photos regardless! Zoe had a friend to keep her company. So one way or another we all kept ourselves entertained! Wow, that's a HUGE lens!!! 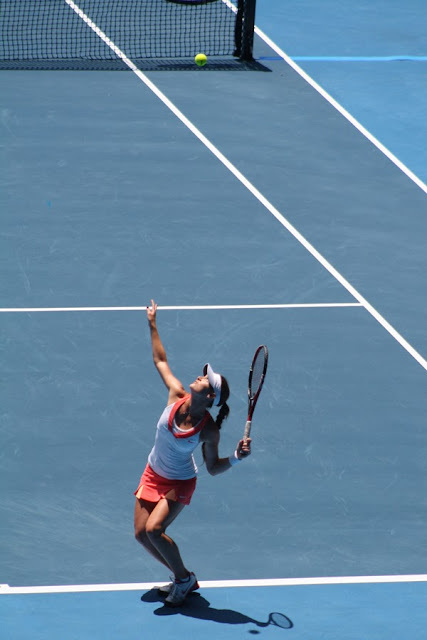 I've never been to a tennis match--at least it looks like you were in the shade! Your photos are really magnificent!!! And thank you for sharing the realization of your album with us. It will be very useful for me. Good week! Holy crackamole, now that's a big lens. Looks like a mighty hot day. 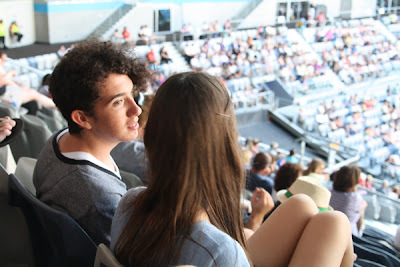 We were just commenting tonight about last time I went to the tennis I saw Yannick Noah play. How long ago was that?!?!?! te he. Showing my age now. What a lens!!! I would not be able to even lift the camera. You took some wonderful photos. Well done!